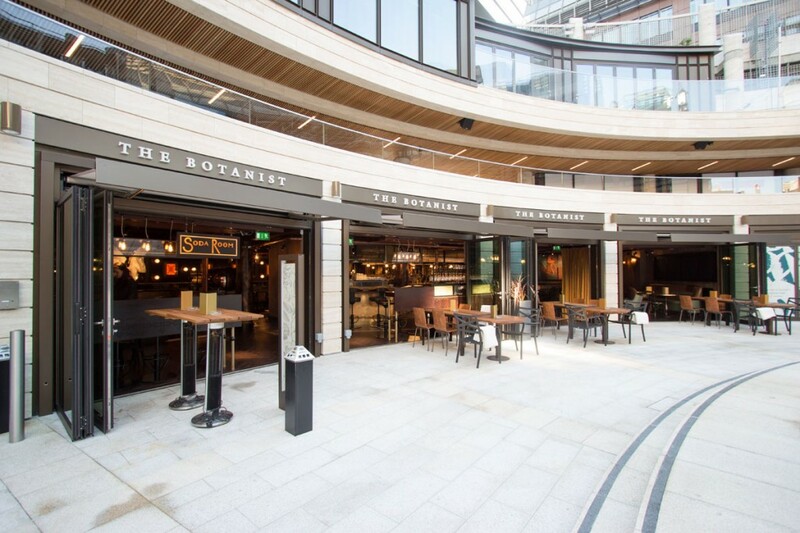 The Botanist is owned and operated by ETM Group and the new site at Broadgate Circle in London follows the success of the original on Sloane Square. The interior designs were to reference the first Botanist, but provide a fresh approach and also include a basement bar – The Soda Room. 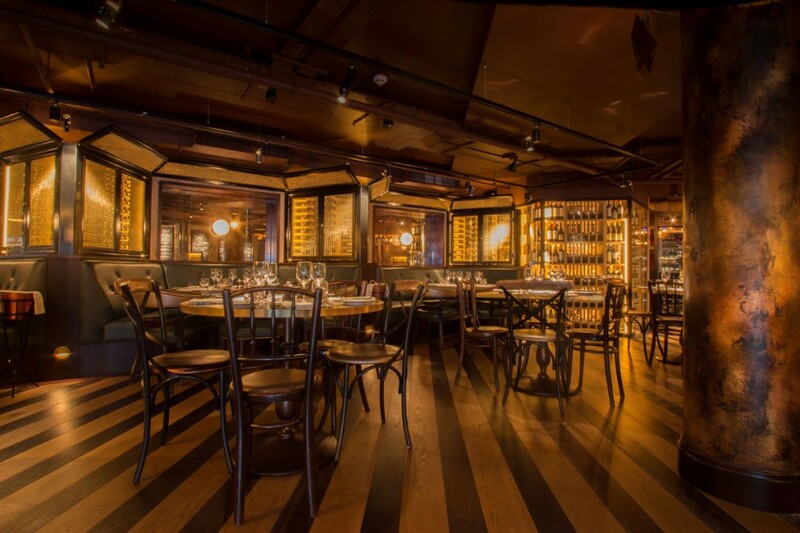 into lighting were appointed as lighting design consultants to the project by Russell Sage Studio and briefed to provide a suitably atmospheric ambience for the venue through the design of the lighting scheme. The designs focus on building layers of light and pinpointing certain architectural elements of the interior. A large amount of detailed drawings ensured that the level of bespoke design for the space required by the client was achieved. 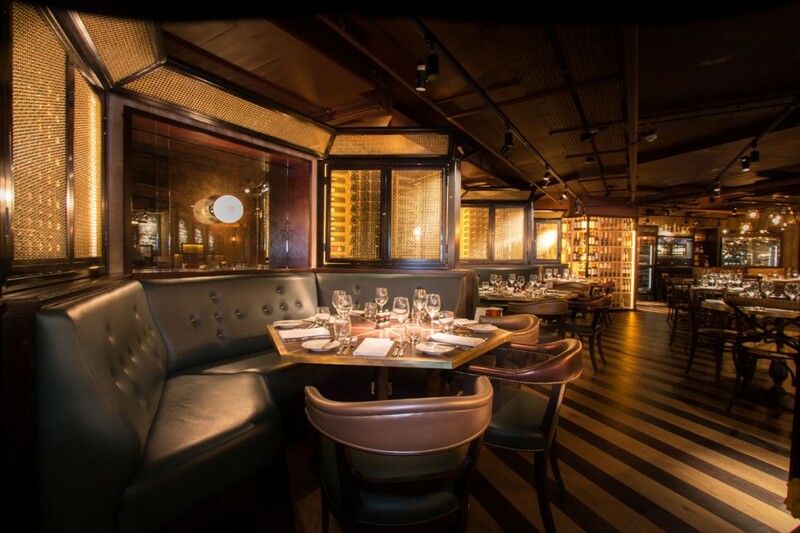 For example leather cladded seating booths with golden mesh covered display walls of wine bottles are carefully lit from within for a soft glow and a heightened sense of intimacy. Festoon lights surrounding the central feature bar, in combination with a series of lighting details to the bar itself and the gantry above, create a focal point in the space amidst the hanging taxidermy crocodile. 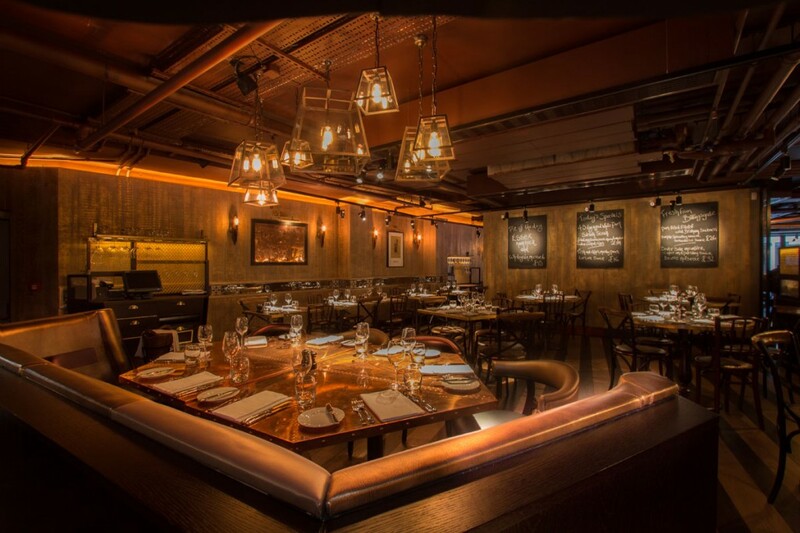 Track-mounted spotlights are used to highlight particular surfaces and tabletops, preventing over spill of lighting from the walkways and retaining a moody ambience. 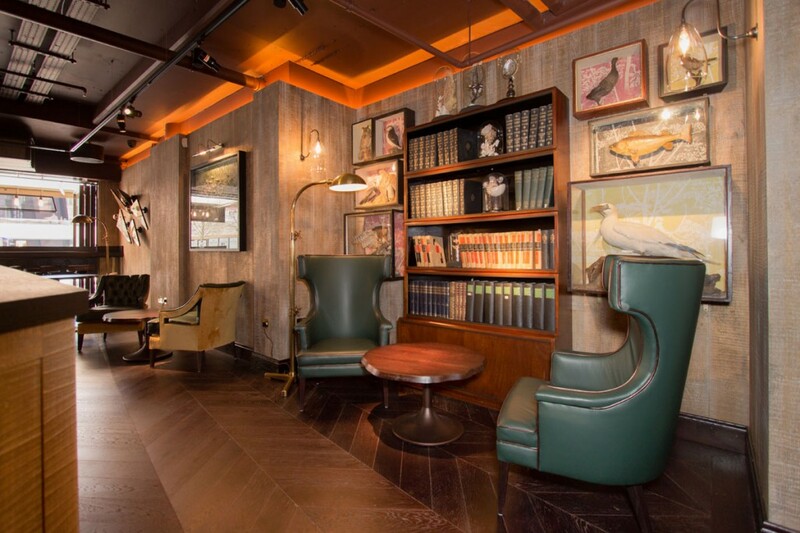 Further bespoke lighting details to panelling and architectural elements provide an overall detailed lighting scheme. 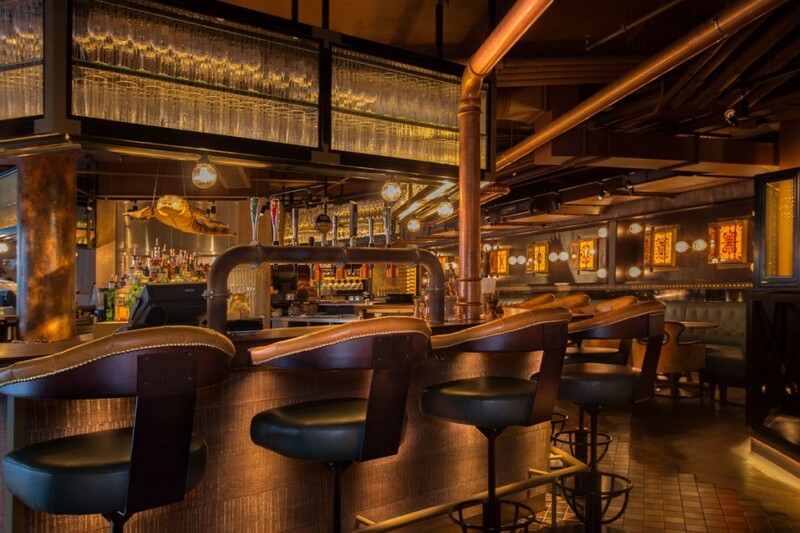 The ground floor bar and restaurant and the basement late night venue The Soda Room are both lit with a high level of attention to detail in architectural lighting details. Feature elements, including large glass pendants, festoon lighting and globe wall lights add to the bespoke and quirky nature of the interior design by Russell Sage Studio.